World Peace! What a lofty goal and aspiration for the residents of Earth! Beauty pageant contestants, zealous politicians, and those of the Baha’i’ faith speak of the possibility of living in unity with one another. Bahá’ís believe that God has appeared throughout the ages in the form of manifestations or mirrors of God. All of these manifestations of God have been deployed to Earth to help people to see the one true God. 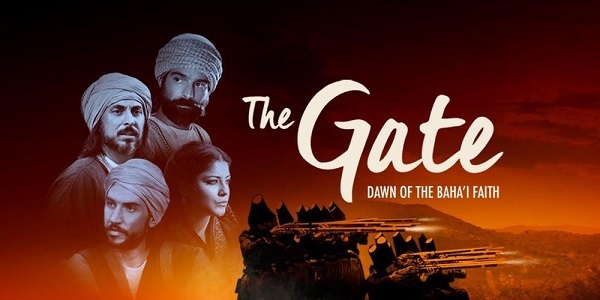 The film, The Gate: Dawn of the Baha’i Faith, was directed by Bob Hercules. The film has great acting, commentary, and cinematography, but from a Christian perspective, it proves to have many theological errors. This documentary attempts to provide the viewer with the historical beginnings of the Bahá’í faith. It taps into the nearly universal human longing to know and commune with God while living in unity with others. In today’s society, we often hear the word intolerance, and this documentary provides a look at the intolerance that was displayed to the early people of this faith. It was often through violence that these early leaders and their followers attempted to pave the way for peace. They hoped that others would believe that their words were true and would have a desire to establish and maintain world peace through universal tolerance of all religions. This documentary highlights the history of this new world religion with an emphasis on a manifestation of God who is known as the Báb. The Báb, who has exceptional intelligence, was born in Persia, which is modern day Iran. The definition of his name, Báb, means the Gate, hence, the name for this documentary. He marries a beautiful young woman named Khadíjih-Sultán Shírází. One morning he tells her that he is the one who many people have expected. He makes the declaration that he is the twelfth Mahdi in 1844, which was the same year that William Miller incorrectly predicted that the world would end. Members of the Bahá’í Faith were interested in Miller’s projections and believed that the Báb was the fulfillment of biblical prophecies regarding the coming of Christ. The Báb appears to play a similar role as John the Baptist or Elijah. Many did not accept the Báb and his teachings. He eventually finds himself in front of a firing squad. The documentary portrays that he miraculously escaped being killed because of his desire to finish a writing. He is later killed, but the word about the miracle of his first escape had spread quickly, the faith continued even after his death. The Baha’is made a resurgence in 1863 during the age of Bahá’u’lláh’s existence. The Báb is depicted as the pre-cursor to Bahá’u’lláh who is considered to be the “Father of all Mankind” and the founder of the Baha’i’ faith. Bahá’ís teach that during many dispensations of time, God appeared as Zoroaster, Abraham, Krishna, Buddha, Mohammed and Jesus, among others. All of these manifestations of God are considered by the Bahá’ís to be sinless, but we know that the wages of sin is death and that Jesus is the only one to be raised from the dead (Romans 6:23). But understand this that in the last days there will come times of difficulty. For people will be lovers of self, lovers of money, proud, arrogant, abusive, disobedient to their parents, ungrateful, unholy, heartless, unappeasable, slanderous, without self-control, brutal, not loving good, treacherous, reckless, swollen with conceit, lovers of pleasure rather than lovers of God, having the appearance of godliness, but denying its power. Avoid such people (ESV). Also, the Bahá’ís claim that there have been many manifestations of God throughout time, yet they forget to check what the Bible has said. Hebrews 1:1-2 says, “Long ago, at many times and in many ways, God spoke to our fathers by the prophets, but in these last days he has spoken to us by his Son, whom he appointed the heir of all things, through whom also he created the world” (ESV). Anyone who claims to be a manifestation of God after the first century of the Christian era is clearly not who they say they are and should be seen as a false prophet. The Bahá’ís want to portray that there are many saviors throughout time, but according to the Scripture, this idea simply is not true. Only Jesus is the Savior for all mankind. Acts 4:12 states, “And there is salvation in no one else, for there is no other name under heaven given among men by which we must be saved” (ESV). Only Jesus can cleanse us of all sins, once, and for all time (Hebrews 9:27-28, 10:10, 14). While this documentary does a great job of telling the beginning of the Bahá’í faith, the Báb and Bahá’u’lláh are clearly not who they said they were and should be seen as false prophets. (Deuteronomy 13:1-10, Matthew 7:21-23). © 2019, Midwest Christian Outreach, Inc. All rights reserved. Excerpts and links may be used if full and clear credit is given with specific direction to the original content. Thank you very much for the kind comment! Please let me know if you have questions.